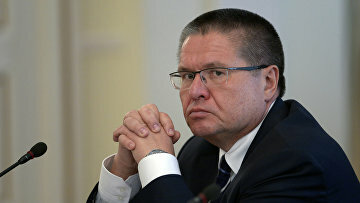 Bribery case against Russian ex-Economy Minister Ulyukayev | Russian Legal Information Agency (RAPSI). 12:59 08/11/2017 Rosneft oil company’s CEO Igor Sechin will be summoned to appear before court for questioning as a witness in the corruption case against Russia’s former economy minister Alexey Ulyukayev. 13:47 26/04/2017 The Moscow City Court has upheld extension of house arrest for Russian Economy ex-minister Alexey Ulyukayev, who stands charged with extorting a $2 million bribe. 13:58 10/01/2017 Moscow’s Basmanny District Court has extended the house arrest of Russian Economy Ex-Minister Alexey Ulyukayev, who stands charged with extorting a $2 million bribe, until April 15. 10:37 16/12/2016 Moscow's Basmanny District Court has seized ten land plots and a house belonging to former Economy Minister Alexey Ulyukayev, who stands charged with extorting a $2 million bribe. 17:05 16/11/2016 Russian Economy ex-Minister Alexey Ulyukayev is going to appeal his house arrest. 19:20 15/11/2016 Moscow's Basmanny District Court placed Russian Economy Minister Alexey Ulyukayev under house arrest on request of the Investigative Committee.